Prominent & Leading Exporter from Mumbai, we offer plate flanges, carbon steel flanges, nickel alloy flanges, alloy steel flanges, screwed flanges and pipe flanges. Plate Flanges are a widely accepted and cost effective alternative to forged or cast flanges in low pressure applications. 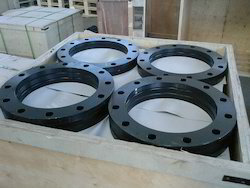 Over the years, a number of standards have been applied to the production of stainless steel plate flanges. Our plate flange product line includes standard and specialty flanges from 31/2" to 120" in diameter produced to all applicable standards. 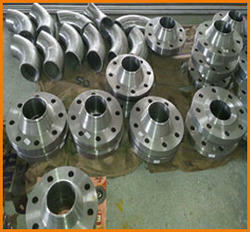 With an exceptional talent of our skilled team, we are able to put forth a wide array of Carbon Steel Flanges. 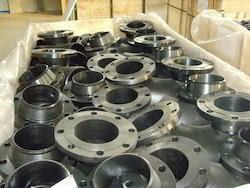 Offered flanges areused in various industries for the purpose of connecting pipes and as an necessary entity to support mechanical parts. Our experts always keep themselves updated of the changing trends and base the range on prevailing needs of requisite industry. They make use of best grade carbon steel to ensure the durability and robust construction of our range. We hold immense specialization in providing our patrons a world-class range of Nickel Alloy Flanges. To make our range high in standards, we make use of best grade alloy steel for the manufacturing of these range. In addition to this, we strictly follow internationally followed quality standards & norms. With thorough industry knowledge, we are engaged in manufacturing, supplying, importing and exporting a wide range of precision-engineered assembly of Alloy Steel Flanges. 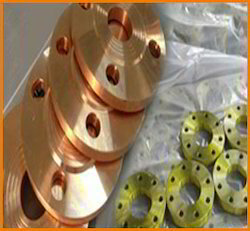 These flanges are used in various industries for mechanical purposes. To make our range withstand heavy usage, change in temperature and wear & tear, we make use of best grade alloy steel in the manufacturing process. For the same, we have installed modern machinery and base our range on cutting-edge technology. Screwed Flange We offer Screwed Flange, which is available in stainless steel, carbon steel and nickel alloy material. Designed in conformation with international quality standard, our range finds a wide application in power plant, chemical & food and drilling & well building industries. 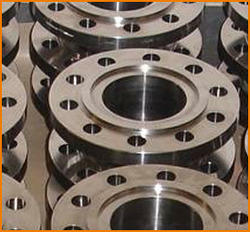 We also provide screwed flange as per the drawings and specifications provided by the clients. 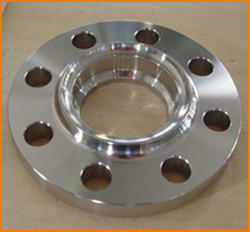 Our Stainless Steel Flanges are of one of the best quality. 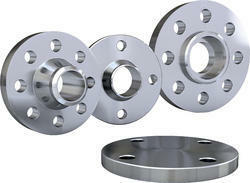 We have an exclusive range of stainless steel flanges which is of high exclusive quality. 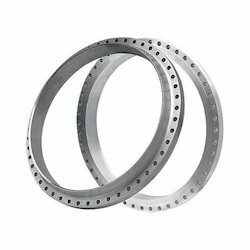 Stainless Steel Flanges available in a spectrum of shape and sizes, our forged light weight weld flanges are manufactured using superior grade material such as stainless steel. 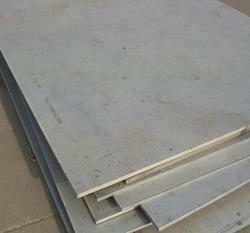 Grade : ASTM / ASME SA 182 F 304 , 304L , 304H, 309H, 310H , 316 , 316H , 316L , 316 LN , 317 , 317L , 321 , 321H , 347H . The Carbon & Alloy Steel Flanges offered by us are strictly tested by our experts on various parameters, in order to meet the quality standards. 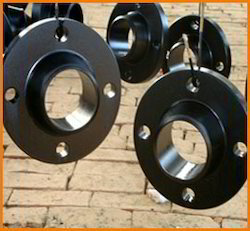 Our Carbon & Alloy Steel Flanges are widely used in various industrial applications. 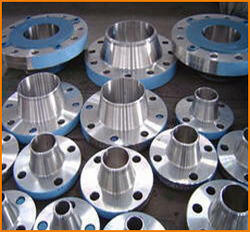 Moreover, these Alloy Steel Flanges are available in different sizes and specifications as per the client’s needs. We are manufacturing a wide range of Hastelloy Flanges which are available to our clients in various grades. Hastelloy Flanges are available in standard as well as customized sizes as per the requirements of our clients. 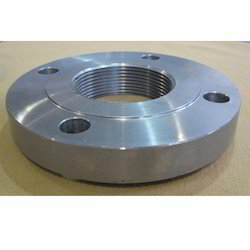 Our Inconel Flanges are widely used in various industrial applications. We also offer custom designed Inconel flanges to meet the specific application requirements of the customers. 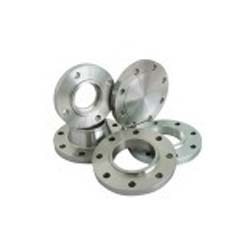 We are catering a qualitative range of monel flanges which are available in various forms and standards. 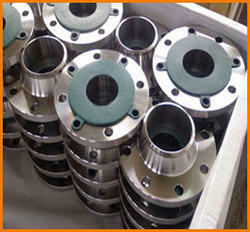 These flanges are available in different sizes. Leveraging on our experienced workforce, we are engaged in manufacturing, supplying, distributing, importing and exporting high grade Stainless Steel 310 Sheets These products are manufactured using high quality stainless steel that is sourced from vendors of high repute. All our products are widely acknowledged for their dimensional accuracy, superior performance and rust resistance.